Lebanon's presidential election campaign began earlier than usual this year. One by one, most of the politicians who have declared an interest in succeeding President Emile Lahoud this November have made their way to Damascus in recent weeks to interview for the job. Although historical precedent suggests that a decision by Syrian President Bashar Assad will not be unveiled until a few weeks before parliament convenes to choose a replacement, the selection process is already underway and Assad has warned local politicians to avoid "playing with fire" in the run-up to the elections. While the presidency (constitutionally reserved for a Maronite Christian) was the paramount political office in Lebanon's First Republic (1943-1989), its powers were strictly curtailed by the 1989 Taif Accord, which transferred most executive power to the Sunni Muslim office of prime minister and strengthened the Shiite Muslim office of parliament speaker. In practice, however, the powers of all three offices in the Second Republic (1990-present) have depended on the office-holders' relations with Syria. During the heyday of Lebanon's postwar reconstruction, Prime Minister Rafiq Hariri was considered "first among equals" within the ruling troika. After Lahoud's ascension in 1998, Syria shifted power to the president, who was given absolute control over the military and state security apparatus and allowed to appoint allies to key cabinet positions. Since his return as premier in 2000, Hariri has chafed under these new rules. Syria's rationale for strengthening of the presidency was two-fold. First, with Israel preparing for a unilateral withdrawal from Lebanon - a move that would delegitimize continued cross-border warfare against Israel in the eyes of Lebanon's political class - the Syrians decided that all decision-making with respect to security should be concentrated in the hands of a single proxy. Lahoud, a discharged military officer whose appointment as army commander in 1989 came as a result of Syrian fiat, was seen as a more reliable proxy than Hariri, a self-made (or Saudi-made) billionaire construction tycoon. Second, it was hoped that a strong president would be able to mobilize Christian support for continued Syrian hegemony in Lebanon. Ultimately, these two goals proved to be mutually unattainable - Lahoud, lacking any domestic power base, proved to be a very obedient Syrian surrogate, but for this reason was unable to generate greater Christian loyalty to the Second Republic. Moreover, Sunnis became increasingly alienated by the president's supremacy over the prime minister. With the end of Lahoud's six-year tenure in November, the Syrians are faced with the question of whether or not to continue the current arrangement. Although Article 49 of the constitution prohibits a sitting president from seeking reelection, Syria could extend or renew Lahoud's mandate by forcing parliament to amend the constitution (as it did in 1995, when Elias Hrawi's term was extended another three years). An extension of Lahoud's term would impinge on Assad's efforts to win the Maronite Christian community's acceptance of Syrian hegemony. After two years of negotiations (through intermediaries) between Syria and Maronite Patriarch Nasrallah Butrous Sfeir, the broad outlines of such a deal have become common knowledge - Syria will protect Christian cultural autonomy and permit the mainstream Maronite political elite to re-enter government in return for the latter abandoning its vocal opposition to the Syrian occupation. The fact that recent visits to Damascus by presidential contenders coincided with visits to Sfeir by Beirut MP Nasser Qandil - Syria's main intermediary - suggests that the issue of Lahoud's succession is central to the negotiations. Although Lahoud is despised in the Maronite community and Sfeir recently declared his opposition to a term extension, there have been reports that Syria is trying to win his acceptance of a short (2-3 year) term extension in return for other concessions, such as an electoral law that would favor mainstream Christian politicians in the 2005 parliamentary elections. 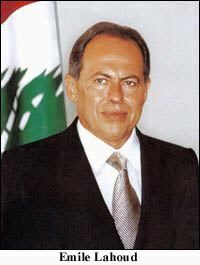 A short extension of Lahoud's term might also be acceptable to Sfeir if it is followed by the election of a mutually acceptable candidate in 2006 or 2007 (as opposed to the immediate election for a full 6-year term of a candidate only marginally more acceptable to mainstream Christians). Most Lebanese analysts contend that keeping Lahoud on board would disrupt Syria's chances of reconciling with the United States and endanger its warm relationship with Europe. According to Beirut press reports, the Bush administration has explicitly indicated that it expects Lebanon to proceed with a constitutional alternation of power in November. On February 24, following the third meeting of the EU-Lebanon Cooperation Council in Brussels, the European Union issued a statement emphasizing that "full respect for constitutional rules" and "free and fair elections at regular intervals" are integral to democracy - both references were widely interpreted in Lebanon as oblique criticism of a term extension for Lahoud. However, tensions between Syria and the United States could work in Lahoud's favor by making Syria less willing to roll the dice with a major government shakeup. Although several other presidential contenders have close relations with Damascus, Lahoud's subservience is stronger because he is entirely a product of Syrian patronage. "While other serious candidates for the presidency . . . are seen as pro-Arab first and pro-Syrian second, Lahoud is, first and last, pro-Syrian," notes political analyst Zeina Abu Rizk. Syria's "nightmare scenario" in Lebanon is that a new president will develop pretensions of leading the Christian community, which is overwhelmingly opposed to the Syrian occupation, and, in the face of strong American pressure, act independently of Damascus (e.g. by deploying army units to south Lebanon). Some analysts have suggested that Assad may opt to keep Lahoud in office precisely because it would convey to the international community that Syrian control of Lebanon is absolute. "If replacing Lahoud might be construed internationally or regionally as a sign of Syrian weakness in Lebanon, then Lahoud will stay," argues Lebanese journalist Hussain Abdul-Hussain. Assad's decision regarding the presidential succession also hinges partly on whether he decides to keep Hariri in office. If Hariri stays, Lahoud most likely will go. The deadlock between the two archrivals and their allies has so paralyzed the government in recent years that even minor policy decisions often require direct Syrian intervention. With international pressure on Syria to withdraw from Lebanon on the rise, Assad wants the government to be more self-regulating - given the acute level of personal animosity between the two rivals, this means that one of them will have to step down. However, if Hariri keeps his job, the Syrians will want to choose a presidential successor who can stand his ground against the billionaire tycoon. A variant of Syria's "nightmare scenario" has a future president aligning himself with Hariri, perhaps with Saudi and American encouragement, and pushing for the deployment of troops to south Lebanon (a move that Hariri is known to privately favor). Officials in Damascus are reportedly divided over whether Hariri should get the boot. Assad faces a Catch-22 - the prime minister's close ties with the Saudi royal family, personal friendship with French President Jacques Chirac, and glowing reputation in Washington are both an asset and a liability. On the plus side, Hariri's reputation and personal charm have helped persuade the international community to bail out the debt-ridden Lebanese government on several occasions (most recently at the November 2002 Paris II conference) in spite of its inability to meet even minimal conditions normally associated with debt-relief loans. By subsidizing one of the most corrupt and inept regimes in the world, the international community's largess helps perpetuate the patronage networks that sustain Syrian hegemony over Lebanon (and enrich scores of Syrian officials). Many Lebanese analysts (both on and off the prime minister's payroll) believe that Hariri is too indispensable for Assad to discard. On the other hand, Hariri's international connections and personal fortune (recently estimated to be about $4.3 billion by Forbes magazine) make him less subservient to Syria than other Lebanese politicians. In recent months, the prime minister has quietly pressed Western governments to pressure Assad into giving him a freer hand in managing economic policy - Syrian officials fumed when they got wind of this. Should Syria decide to replace Lahoud, it will most probably choose one of its top Maronite political allies, of which five are said to be under consideration: Health Minister Suleiman Franjieh, former Minister of State Michel Edde, former Foreign Minister Fares Boueiz, current Foreign Minister Jean Obeid, and Akkar MP Mikhael Daher. Franjieh is generally regarded as the frontrunner because he is from a distinguished Maronite political family (his grandfather was president from 1970 to 1976) with a long history of friendship with the Assad regime. However, a big strike against him is that he is a close political ally of Hariri. In an apparent effort to bolster his credentials, Franjieh suddenly lashed out at the prime minister in a televised February 26 interview on LBCI, accusing him of complaining about Syria to the United States and conspiring to install a "weak president whom he would be able to manipulate." 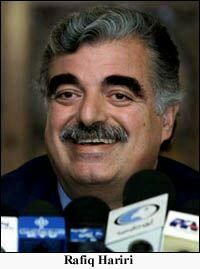 Public Works Minister Najib Miqati, considered one of Syria's top choices to replace Hariri, has reportedly lobbied vigorously on behalf of Franjieh. The third, rather remote, possibility is that Syria will approve the election of a candidate from the Qornet Shehwan Gathering, a coalition of mainstream Christian opposition politicians, nominally chaired by Sfeir. Three Qornet Shehwan members have declared their candidacy or are known to be lobbying for the job: Batroun MP Boutros Harb, Metn MP Nassib Lahoud, and Zghorta MP Nayla Mouawad, the widow of the late President Rene Mouawad. All have met privately with Syrian officials and have been careful to emphasize publicly that they support a "special relationship" with Damascus. Since declaring her candidacy in mid-January, Mouawad has repeatedly declared that "Lebanon must not be ruled against Syria and must not be ruled from Syria." While such slogans are clearly designed to reassure Damascus while maintaining credibility in the eyes of the Lebanese public, they do not dissimulate - mainstream Maronite politicians are, by and large, willing to guarantee Syrian interests in return for entry into government. As related by Michel Edde following his visit with Assad, Al-Nahar (Beirut),29 February 2004. The Daily Star (Beirut), 10 February 2004. The Daily Star (Beirut), 28 February 2004. The Daily Star (Beirut), 31 January 2004. � 2004 Middle East Intelligence Bulletin. All rights reserved.